Established in 1989, Atama is a leading name in fight wear across the globe. The name ‘Atama’ has Japanese origin and means head, mind and intelligence. 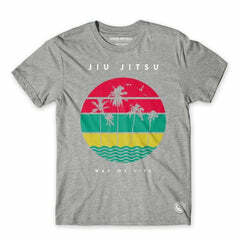 The brand take these principles seriously and their collection aims to satisfy the most demanding BJJ athletes. All of the Atama BJJ kimonos are designed and products by professionals, using only quality materials to create clothing that’s comfortable, durable and ideal for both training and competing. Atama fighterwear is ideal for BJJ, MMA and grappling and the current collection includes signature Atama kimonos and kit bags in a variety of styles. With a team of fighters working hard to offer customers the best possible fighterwear options, it’s no surprise that Atama is in demand. Shop the full Atama fighterwear collection below to add this exciting brand to your fight wardrobe today.